A New Jersey fundraiser last weekend titled “Humanity United Against Terror” provides an excellent example of one of the tricks of building cooperation. The Republican Hindu Coalition organized the event that featured Bollywood stars and an address by Donald Trump. The event had a range of interesting incongruities, including signs suggesting that Trump would ease speed up immigration and images depicting Hillary Clinton and Sonia Gandhi (leader of the Congress Party in India) as demonic. My focus, however, is the framing of the event, contrasting the title and general purpose to its content, which in large part served as a political rally for Trump’s campaign. While others have written about the connection between Trump’s assertions and Hindu Nationalism and the BJP (the party in India that currently controls Parliament and the Office of Prime Minister), the event illustrates nicely the work that it takes to build cooperation and appearances of broad support. In this case, the event title’s opposition to terrorism generated a widely agreeable image, as most people oppose terrorism (calling violence that they support something other than terrorism, of course). Moreover, in Hindu communities, supporting refugees from Kashmir who identify as Hindus is a valued cause. 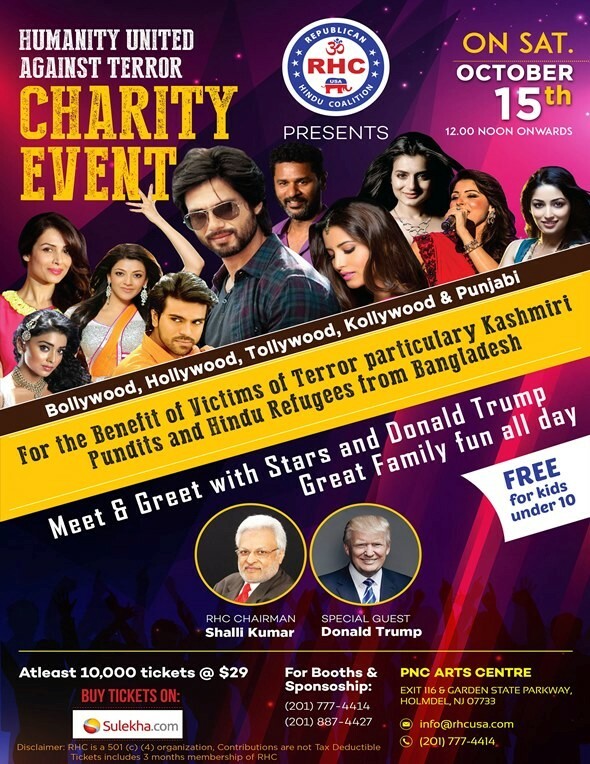 One of the event posters, pictured above, explicitly forefronts the Bollywood stars and the assistance to refugees, diminishing the significance of Trump’s presence. The organizers, however, inserted more specific content, both Hindu nationalist, BJP, and Republican, within this broadly agreeable event. While I do not know the full characterization of the event in the communities who participated (beyond this poster), I suspect that some people who attended were not significant supporters of the BJP or of Trump but found the general cause of the event or the appearance of Bollywood stars to be an attraction. If my conjecture is correct, then the support evidenced by the attendance at the event can easily be misinterpreted as reflective of the support for Trump, the BJP, and Hindu nationalism generally. Recognizing the flexibility of these general phrases that become uniting points for an event or a group or national identification can lead to a cynical response, that everything is simply smoke and mirrors, inauthentic in its vagueness. However, any community, whether local, political, religious, or national, requires this flexibility to generate a commonality that covers over the competing interests and ideas, thus highlighting the necessity of accommodation and compromise. Communities require such coalition-building to function effectively. Intentionally overlooking some of our differences may be the key to strengthen our abilities to function collectively, though we are faced with the debate over which disagreements are too central to overlook. 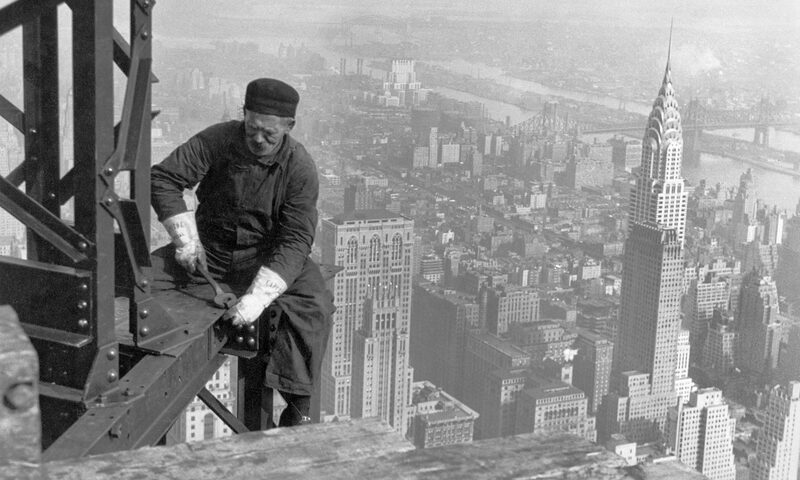 The demands for purity and complete agreement, from whatever source, are not an effective way to accomplish the continual work of building a local community or a nation.